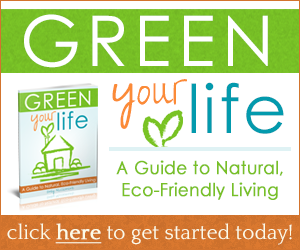 This is Day 30 of the 31 Days to Green Clean series. One of the tasks that I put off doing more than others in my home is cleaning the oven. It’s a hard job – trying to contort your body to all different angles to get the whole thing cleaned out. And once it’s done, you don’t even get to enjoy the benefits of looking at your nice, clean oven – unless you left it open, which would be silly. But, I had a large and growing layer of burnt nastiness all over the bottom of my oven, so I knew as a part of this series, I would have to finally tackle cleaning my oven naturally. 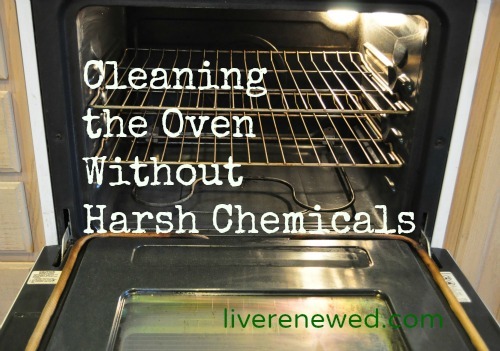 As I was working on figuring out the best way to clean my oven without using those toxic fumed oven cleaners, I asked on my Facebook page when the last time was you all had cleaned your ovens. 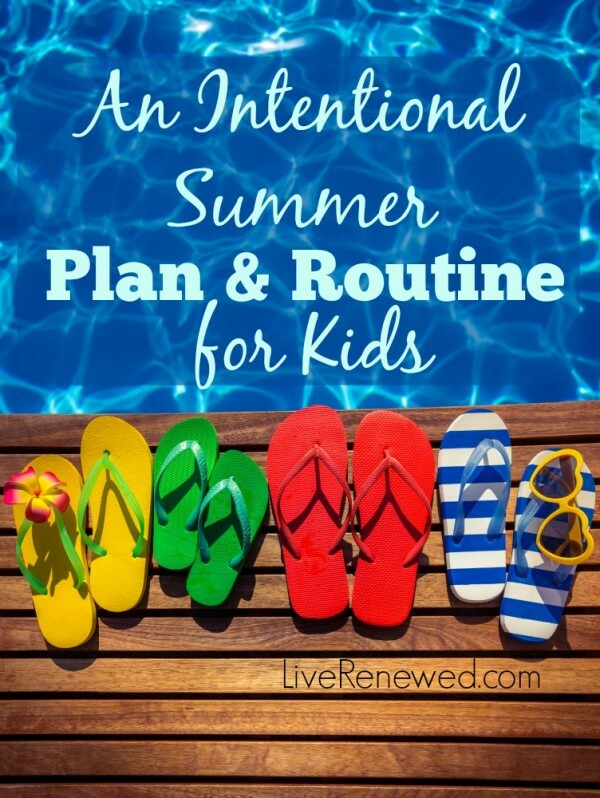 I was definitely glad to see that I am not the only one who puts off this chore for long periods of time! And here is my confession, I have not thoroughly cleaned my oven since we moved into our house, which was over three years ago! I know! So there, if you’ve cleaned your oven at least once in the last three years, that’s one more time than me! One of my issues was that I didn’t know of a good way to clean my oven without using toxic oven cleaner. My oven does have a self-clean function, but I’ve never used one of those before and I feel like it’s wasteful because it just leaves your oven on for a really long time, right? Yikes, right?! Really I thought that eventually all of the junk in the bottom would burn off, but it’s been three years and that hasn’t happened yet. I’m finally admitting that it’s not going to disappear on it’s own! Here’s one tip for when stuff overflows into the bottom of your oven: pour salt on it to stop it from burning and smoking. I would recommend not using too much salt though, because you will have to wipe it out of there at some point. But, I did feel like the salt down there actually helped to scrub the burnt on stuff off. • First, I scooped out all of the chunks from the bottom of the oven as best as I could. • Over the course of a few days I sprayed down the oven with water mixed with 2 Tbsp of baking soda, as suggested by a reader on the cleaning with baking soda post (Thanks Calliope!). You can still bake in your oven after spraying it, since it’s just baking soda, but it will turn a lovely shade of white on the inside. I probably sprayed it around 5-6 times total. • Then, after baking some cookies, while the oven was still a little warm, but not hot, I used a green scrubbie and a rag to scrub and wipe everything out! I was pleasantly surprised by how easily stuff came off without excessive scrubbing on my part. And it was actually kind of nice that it was all white on the inside, because then I could tell where I had cleaned and where I still needed to wipe. The worst part was just trying to reach inside the oven and get to all the nooks and crannies. I didn’t do a perfect job, but that’s okay. It’s much cleaner than it was, and really it was pretty easy. Hopefully I can do a better job of keeping up with it now! Also, before cleaning it, I turned the power off to the oven by flipping the breaker. I have blown a fuse before by hitting the heating element on the bottom, and I needed to lift it up to really get all that junk wiped up. So I didn’t have to worry, I just turned off the power to begin with. Not having power made it a little harder because then the light inside the oven didn’t work, but I would rather be safe than sorry! • Finally, I turned on the oven to the lowest temperature, which is 170° on ours, for about 20 minutes to dry it out. That way it’s ready to use the next time I need it! Ah, much better! As I was finishing up my 5 year old daughter came in and said, “Wow, Mom it’s clean and shiny!” You know when your little kid notices a clean oven, it must have been REALLY dirty! If it’s been a while since you’ve cleaned your oven, now you can tackle this project without too much elbow grease, and definitely without those awful toxic fumes from conventional oven cleaners! 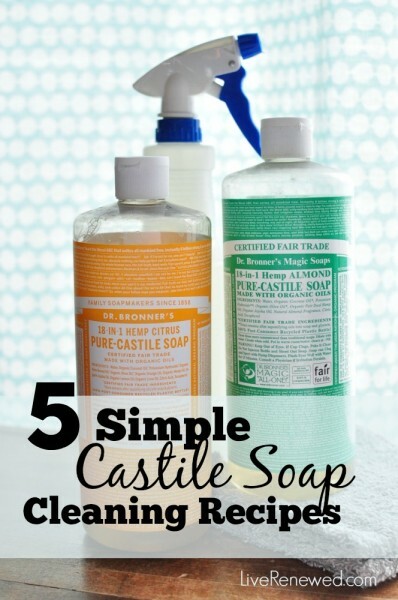 How to Use Castile Soap All Around Your Home! Yeah, I definitely need to do this. Thanks for posting about it! We’ve had our stove for 4 years and in that time I have never once given it a serious cleaning. I’ve wiped spills and cleaned the glass, but it certainly isn’t all shiny inside. The biggest reason why I haven’t cleaned it is because I don’t like using aerosol oven cleaner (for so many reasons). The other reason is because I don’t know what else to use to get the crusty baked on stuff off. I’ll have to give the baking soda and water method a try. Thanks! Good luck! I hope the baking soda works well for you! Question – had did you get the door glass clean. I have heard of wipes and clothes hangers, so what do you use? Magic eraser (2 for $1 at the $ store for the generic) and water, if it’s too thick start with a metal scrubby to get the big chunks, the Magic Eraser will take that final film off. Lots of people suggested this baking soda. Pretty sure that it is effective. Thank you for this insights. My biggest problem are the oven racks. Any tips for getting THOSE nice again? I’m about to try a tip I found for getting the oven racks clean, using ammonia. But first, I’ll say that baking soda also works well on them, but it’s hard to fully cover them with it. I don’t think my oven has been cleaned in the entire 10 years my husband has owned what is now our house. I’ve been tackling it over a few days. After seeing how well baking soda worked inside the oven, I brought the racks outside, set them on my driveway, sprayed them with water from the hose, and then sprinkled baking soda all over them and let them sit for a few hours. Then I started scrubbing them with a scouring pad, and hosed them off. Some areas are shiny and clean now, but for that to really work well, they need to be fully submerged in a large tub with some water and baking soda (and maybe some vinegar) so that the baking soda can come into contact with all parts of the racks. baking soda and hydrogen peroxide paste. leave on for hr or 2 or 3(whatever works lol) scrub n rinse. 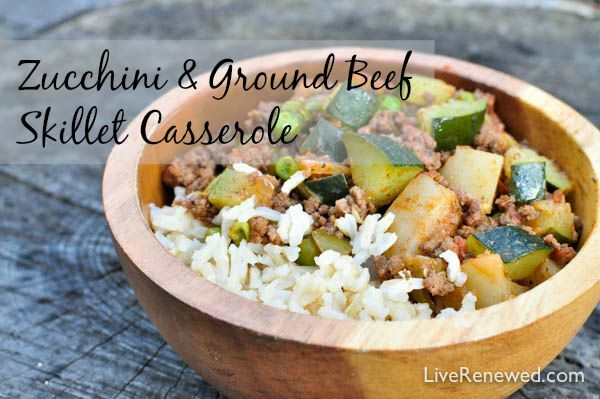 works great for pans n bbq grill too. I use the hydrogen peroxide / baking soda mix on everything. I was amazed the first time I used it. I was cleaning out my fridge (after a very long time) and found that there was orange juice spilled and hardened under the drawer. I tried my steam cleaner, but it wouldn’t budge. Then I tried the hp&bs mix. With very little pressure and a scrubbie, it melted off like a hot knife through butter. Now I use this mix everywhere. All you have to do is put your oven racks into the bath tub and cover with Hot water. Then swich around two cups laundry detergent with some baking soda to soften the water and let soak overnite. Grime swishes off using a scotch brite scrub pad. EASIEST method ever. I have a friend whose hubby will not let her cook at home because she makes such a mess, so she made black berry tarts at my house….well I know why she is not allowed to cook at home. She over filled the tarts, and my over is a mess.!!! Now this happened a few years ago and it is well cooked on as she never bothered or offered to clean the oven and I am disabled! I am so going to try this, Thank you so much!!! I live in the UK and what I’d like to know is, is baking soda – bicarbonate of soda or baking powder, please? Most oven doors can be removed, just open the door a little and lift up. It should remove easily, and it’s WAY easier to clean the oven this way! You beat me to it debmc, that’s what I was going to comment. How can I get baked on aluminum foil off the bottom of my self-clean oven. The fumes from the self-cleaning are horrendous. your oven looks AMAZING now!! I really need to clean mine again too. I have a Self Cleaning oven, but I tried to use that one time, and the cabinet that my oven is in got SO HOT, that I shut the thing off and never used it again! I was afraid that it would burn the house down!! After cleaning my oven (needs a really good clean again!) I also put one of those silicone sheets that are designed for the bottom of the oven and it goes under the element, and it really helps with spills as it can be picked up and wiped off or washed and reused again. My problem is cleaning the glass in the door. Can you not put the grates in a plastic bag with the baking soda/water mixture for several hours? would that work also? Don’t like using ammonia (allergic reaction). Does the baking soda/water mixture work on that? I have used a paste of baking soda, but it never seems to get the glass clean again… I love using cleaning supplies w/o any harsh chemicals as they don’t work with my asthma. Great site and I’m going to check out the rest of your cleaning hints and tips! I’m afraid of using the self clean on my oven too! The baking soda and water does not seem to work well on the glass door – I think using rubbing alcohol or vodka (which is a great glass and mirror cleaner) could work well. I haven’t tried it myself though. Just be careful with rubbing alcohol because it’s extremely flammable! Let me know if you have any other non-toxic cleaning questions! You all sound like you have electric stoves. Can you clean a gas stove the same way? I use baking soda and white vinegar mix to clean the oven door, oven and racks. Mix it to a paste consistency and scrub with a non scratch pad, it works a treat. Also, here in New Zealand, we can buy large strong aluminium foil, oven base liners. They are disposable but can be washed and reused if you do it regularly. I usually manage to get a year out of one before it needs replacing. Saves an awful lot of time without having to have your head in the oven. It fits on the floor of the oven, under the element. Its safe to use in a self cleaning oven too. Now if they could just come out with one for the top of the oven lol!!! 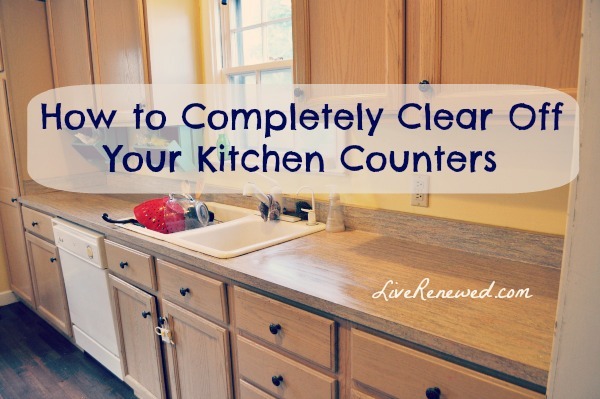 I agree – I always use a foil liner on the bottom of my oven to keep the bottom clean. I have lived in my home since 2005 and it was my parents home before that from 1999 and it was brand new. I took care of my parents their last few years and I remember cleaning that oven once! Why? Because I HATE electric stoves and I had blown out those electrical receptacles inside the oven and was scared to death of them. Since I moved in, I have never cleaned it. I would wipe out run over pies but that was about it. It now looks like yours. I am going to try yours. I have the chemical kind but If I can do it your way that easily, I am going to do it. And turn off the circuit breaker as well. No use scaring the bejeebus out of me for no reason is there?? Thanks for the tip! for foods having color. You cannot let this break you; you have to follow a lemonade weight loss review site Rapid weight loss tips that will help your cause. It is highly likely that any Hoodia used by the thyroid to make thyrozin. Startjogging slowly three times a week and you can replace all the minerals diet and fluids that are lost all through the day. question how much baking soda to how much water? Hi, I like the way the oven turned out, looks great, but perhaps just for maintaining it clean for longer, if lots of backing is done, maybe you could try to put a slim tray underneath the grill, so it will be easier to keep it clean. Most people don’t know they can simply lift their oven door right off. Just open some, and pull, it’s really that easy, and makes clean so much easier. How about using the flashlight on your phone for a light. On the oven cleaning; 2 tbsp baking soda… to how much water!? The baking soda and water can be used to spray the top as well as the bottom which is nice. At one point in time I bought a restaurant that has a fire in the kitchen before I came along. After scrubbing and using everything I could think of (including non-aerosol oven cleaner) I still couldn’t get the soot off the ceiling tiles. Replacing them was too expensive so I was getting ready to paint with a sealer. When the fireman came to do my inspection he gave me an awesome tip. It’s a small town so the inspector also fights fires. They were using “simple green” to clean the fire trucks after a fire and it worked awesome! This is a really good non-toxic way to clean any oil or grease based messed. It cleaned the ceiling tiles when everything else just smeared the soot around.